A synopsis of the life, practice and sacred amulets of the Great Thai Buddhist Master Monk LP Prohmma, of Wat Suan Himapant Nang Koi, in Ubon Rachathani. Luang Phu Prohmma, was a monk known for his immense psychic powers, and was known to be a very mysterious monk who lived mostly on mountainsides in forest caves, to meditate and develop his insights. Luang Phu Prohmma was born in the year 2440 BE, and was ordained as a young Samanera Monk in 2452 BE. 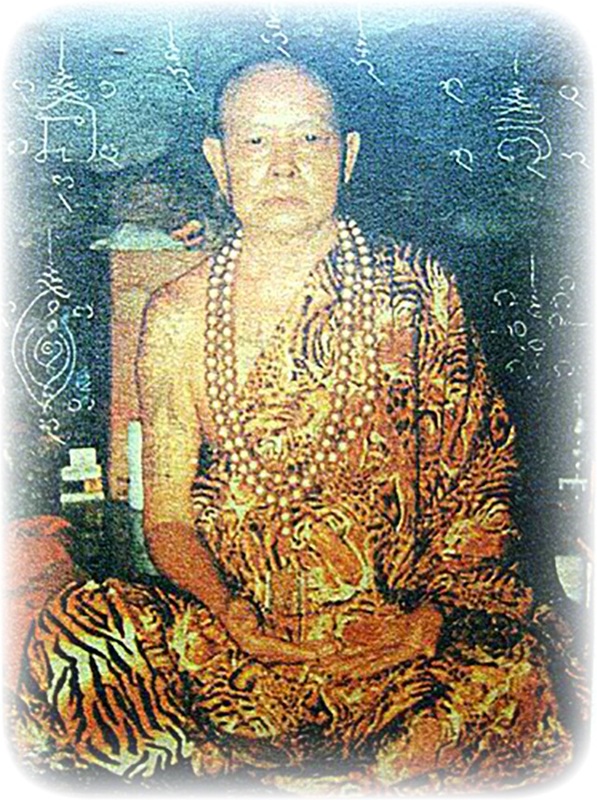 Luang Phu Prohmma of Wat Suan Himapant Nang Koi (Ubon Rachatani), was one of Thailands Historically famous Gaeji Ajarn Master Monks of the Isan region. He ordained into the Sangha very early in life as a Samanera at the age of 12, and learned Wicha, and the many methods of Buddha Magic, at this ripe young age with Somdej Lun, a Khmer Master of Jampa Sak, in Laos. He studied for 6 years under this Master, who passed away at this point. 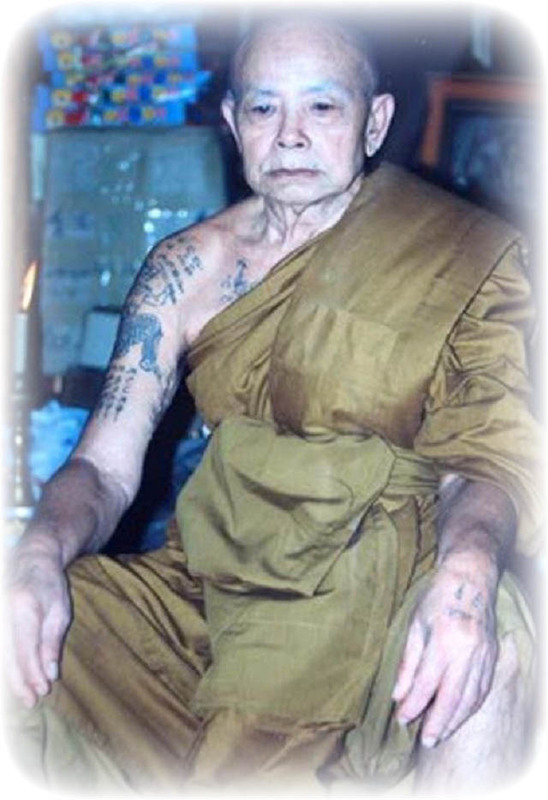 After the death of his teacher in Buddha Magic, Luang Por Prohm wandered around the country in Tudong practice (aimpless wandering of an ascetic). 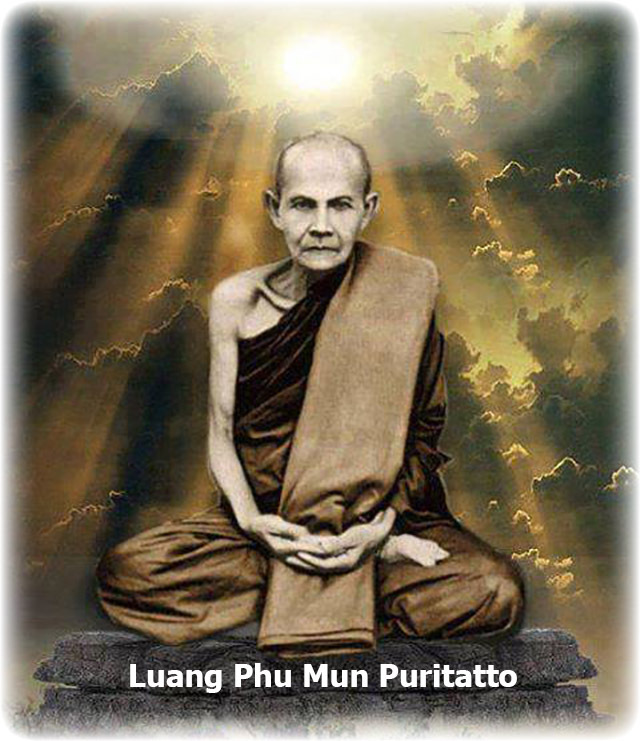 It was during this time that Luang Phu Prohmma was able to meet and study under the great Arahant Luang Phu Mun Puratto. After studying with Luang Phu Mun, LP Prohmma then went to live in a Cave on the peak of a mountain called Khao Kway, and he remained here practicing in solitary for a period of 45 years. After this, he crossed the border into Thailand in the year 2533, where he went to stay in a cave where he had noticed that many wild animals would come and cross paths and coexist together. He stayed in this cave practicing, and his merits and renunciation became so well known, that even Somdej Prataep Radtana Rachasuda Siam Boroma Rachachonanee (the Royal Princess), travelled twice to pay reverence and offerings to Luang Phu Prohmma. 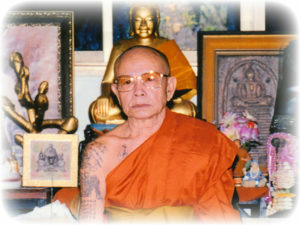 Luang Phu Prohmma of Wat Suan Himapant Nang Koi (Ubon Rachatani), is one of Thailands Historically famous Gaeji Ajarn Master Monks of the Isan region. He ordained as a Samanera at the age of 12, and learned how to make Buddha Magic at this ripe young age with Somdej Lun, a Khmer Master of Jampa Sak. He studied for 6 years under this Master, who passed away at this point. After the death of his teacher in Buddha Magic, Luang Por Prohm wandered around the country in Tudong practice (aimpless wandering of an ascetic). It was during this time that Luang Phu Prohmma was able to meet and study under the great Arahant Luang Phu Mun Puratto. Up to his death, Luang Phu Prohmma had helped the local folk of the forest and farmers with various projects to develop the area, or preserve the wild forest and natural habitat. 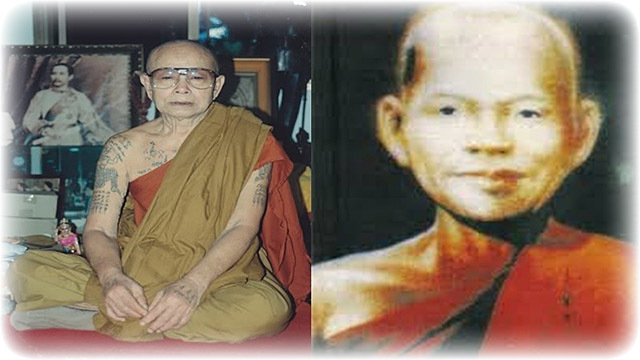 Luang Phu Prohmma of Samnak Songk Tham Suan Hin Gaew (Phaa Nang Koi), Poo Grajiaw mountain, Ban Dong Na, Sri Mueang Mai, Ubon Rachatani, passed away from heart disease in 2545 BE at the respectable age of 105 years old. Those who worship the Lersi Hermit Gods or practice Lersi-ism, or use the Lersi amulets are very familiar with the Lersi Loi Ongk Lersi amulets of Luang Phu Prohmma for being of the finest Lersi statuettes available, and made by a Monk who has practiced in the way of the Lersi for all of his adult life, living in caves and stripped bare of luxuries and comforts, and spending the dark hours in solitude and meditation in the forest caves. Luang Phu Prohmma’s amulets are of high credibility, authentic power, and fine quality craftsmanship. His Pra Lersi amulets are amongst his most highly revered of all.